Today, Pastor Shane’s spirit lives on at Long Island Community Fellowship. The members of LICF share his vision. We wish to establish the largest GLBT church on Long Island. We are aware that there are many open and affirming churches on Long Island. We applaud them for including all people, and we thank them for reaching out to the GLBT Community. Long Island Community Fellowship, however, stands apart from them. Long Island Community Fellowship has been established by the GLBT Community and for the GLBT Community. Our non-GLBT Allies are always welcome to sit at our table just as we have been invited to sit at theirs. Help us grow, consider being a part of our Q-Give Program. 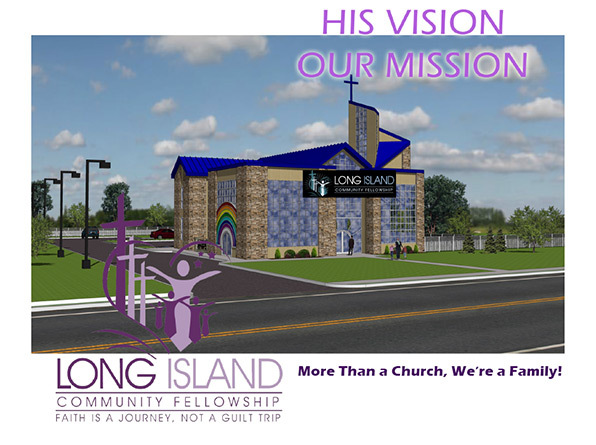 This program enables you to support this vision of establishing the largest GLBT church on Long Island through consistent giving. You choose the amount and the frequency. It can be automatically deducted from a credit card, a debit account or a checking account. Enrolling is simple and takes but a few moments. Please contact our church office if you are interested in joining or use our secure online donation page. Your support will help Long Island Community Fellowship make many things possible in the spiritual lives of the members of the Long Island GLBT Community. This was Pastor Shane’s vision and it is now OUR MISSION! Help us make it a reality! Long Island Community Fellowship has grown, and continues to grow. We know with the Grace of God and the strength and dedication of all our members, we will achieve Pastor Shane’s vision of becoming Long Island’s largest Gay, Lesbian, Bisexual, Transgendered and Allied Church. Honor the LORD with your wealth, with the first fruits of all your crops; 10 then your barns will be filled to overflowing, and your vats will brim over with new wine.